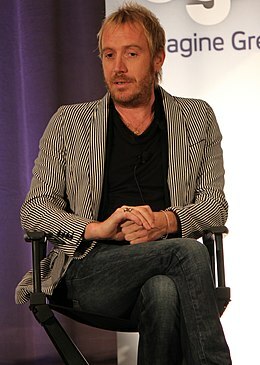 Rhys Ifans - Wikipedia, entziklopedia askea. Rhys Ifans, jaiotzez Rhys Owain Evans (1967ko uztailaren 22a, Haverfordwest, Pembrokeshire) galestar aktore bat da. Bere ama hizkuntza galesera da. Parte hartu duen filma garrantzitsuenak honako hauek dira: Twin Town (1997), Notting Hill (1999), Little Nicky (2000), Hannibal Rising (2007), Mr. Nobody (2009), Nanny McPhee and the Big Bang (2010), Harry Potter and the Deathly Hallows – Part 1 (2010) edota Anonymous (2011). Orriaren azken aldaketa: 6 iraila 2018, 10:42.